Russia’s United Aircraft Corporation sees a “sure capacity load” for Ilyushin Il-96 widebody production line at its Voronezh-based VASO subsidiary within the next six to seven years. UAC’s president Yury Slyusar says that if production rate during this period stays within 2 to 2.5 aircraft per year, this will be sufficient to cater for the requirements of Rossiya Special Flight Squad, Defense Ministry and other government customers. VASO’s corporate publication quotes Slyusar as saying that three aircraft per year are technically possible “if some bottlenecks are removed”. “Still, I think two and a half aircraft per year is a more optimal rate at this point. Supposedly, two aircraft one year and three, the next. With such output I can ensure the capacity load until 2024 or 2025,” he said. According to the corporate publication, these aircraft are: MSN 24 and 25 assembled under a signed contract and scheduled for delivery in 2020. There are two more aircraft (MSN 26 and 27), which the OEM decided to start building with loan money without waiting for the contract to be finalized, with delivery set for 2020 and 2021. One more aircraft is a prototype of the upgraded Il-96-400M variant. Further two aircraft are built for Defense ministry. 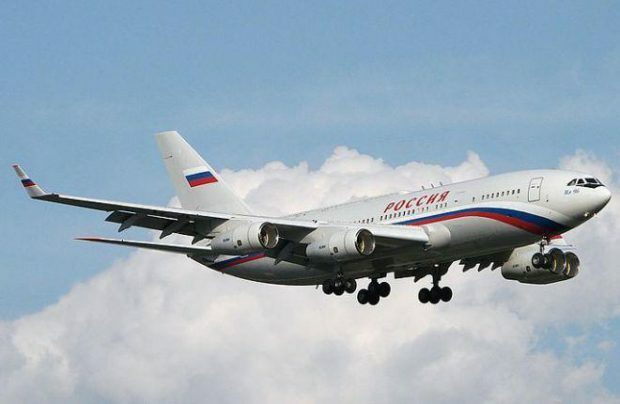 There are also six serial Il-96-400M aircraft, the funds for which are being allocted, and which are scheduled for delivery in 2021, 2022, 2023 and 2024. Thus, at a rate of two or two and a half aircraft per year the manufacturer’s Il-96 assembly line will be loaded for the next seven to eight years. Slyusar stressed that the Il-96 program “defines VASO’s viability.” The OEM is currently gearing up to launch production of the Il-96-400M version. This year the PS-90A1 engines for these aircraft will be delivered to the production site in advance of the flight tests slated for 2019. To finance production facilities for this project UAC will top VASO’s capital by 4.5 billion rubles (about $73.2 million). These funds also cover technical upgrade of the manufacturer. VASO is also building the first prototype of Il-112 transport aircraft. The program has recently passed the power-on phase. The facility participates in such UAC programs as the MC-21 narrowbody, Sukhoi Superjet 100 (SSJ100) regional jet, Il-114-300 and Il-76MD-90A. “Regarding the kits for MC-21, as the president of UAC mentioned, the question about the number of these aircraft to be produced is still being reviewed. In the Il-114 program VASO is accountable for 40% of the total production output, which translates to up to 12 aircraft per year. The SSJ100s continue to be built at the rate of 30 aircraft per year, so we will continue to supply components for them. The plans for Il-76 are between eight and 12 aircraft,” VASO’s executive director Sergey Isayenko told Voronezhskiye Krylya publication. He also mentioned plans to build and deliver to a customer three Antonov An-148 aircraft before the end of 2018.